GER3 supported immediate relief and recovery efforts following Hurricane Harvey, a category four hurricane that caused severe damage and flooding in southeast Texas. A GER3 response team deployed to Houston with vehicles, boats, equipment and supplies for affected families. The GER3 team worked with communities and families directly to assess the needs and subsequent steps for relief and recovery. 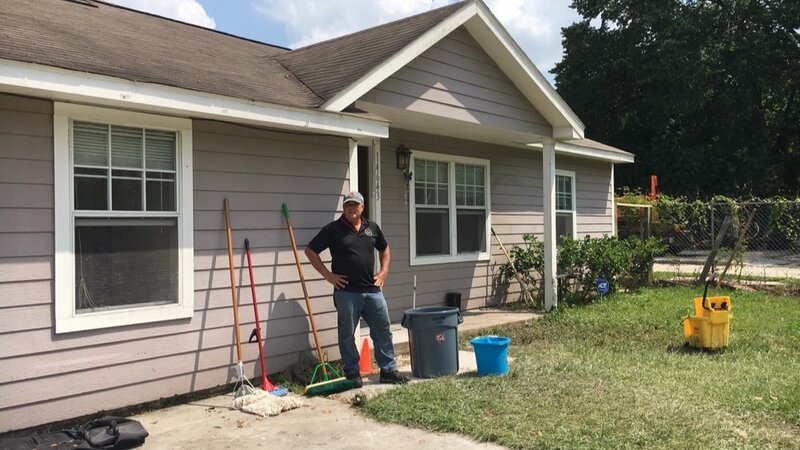 Support included cleaning kits provided to help families return to their homes after flood waters receded, water pumping services and mold remediation efforts. The GER3 cleaning kits contained various items including rubber gloves, brooms, mops, rags, trash cans, sponges, masks, chlorine and other disinfectants. GER3 volunteers delivered the kits and worked together with families to clean out and disinfect their homes. Disinfectants such as chlorine were extremely important, due to mold and disease-carrying residue that remained as a result of the flood waters. GER3 provided water pumping services to lower standing water from houses, which can create serious health concerns as mosquitos breed other sicknesses develop in the standing pools. Some houses had swimming pools which were also dangerous vector breeding grounds. Mold presented a significant challenge to families returning home after flooding. GER3 supported families to help in the identification, treatment and remediation of mold. Although water resided, mold could be found behind drywall, in foundations and floors of homes. GER3 helped families to test for mold, identify solutions, and make decisions on repairs and return timeframes. 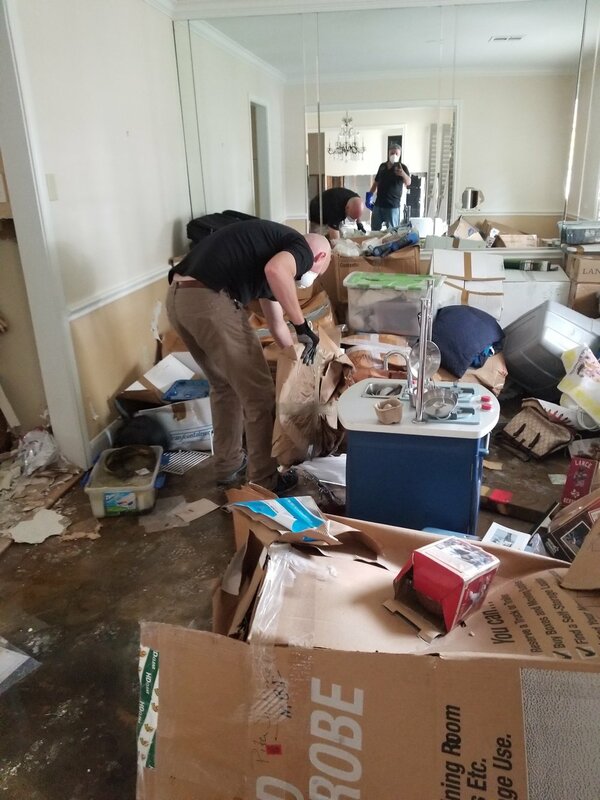 The support involves coordinating and covering costs for local mold testing specialists to review homes, provide expert opinions on when and what items to remove or repair further before moving back in. Lastly, GER3 provided cash grants to families, giving them the power of decision making and prioritizing their needs, such as food, medicine, school supplies, toys or any other immediate needs. 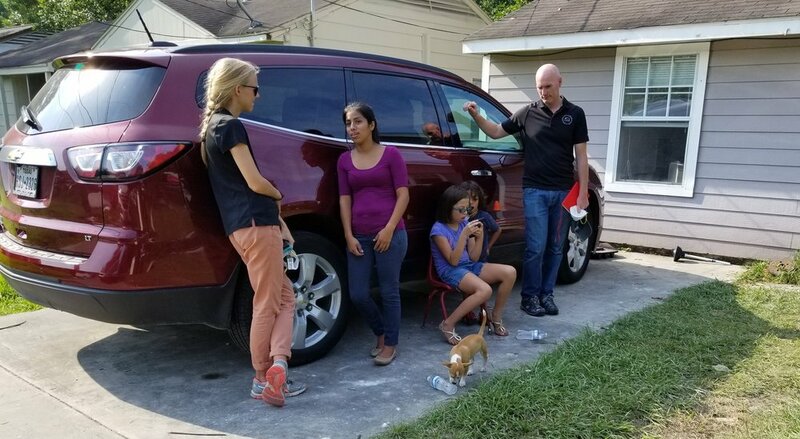 The GER3 response to Hurricane Harvey provided families with comfort that they are not alone and that there are people, including our donors, who care and will work together in these difficult times. As in all actions of help, the benefits go far beyond kits, supplies and services, to demonstrate the higher qualities of humanity and human cooperation among all persons. GER3 will continue to seek ways to provide relief, recovery and reconstruction services throughout the Harvey recovery process.